Get your kids ready for bedtime with one-piece that saves you time just as well as it keeps them warm: footed pajamas. 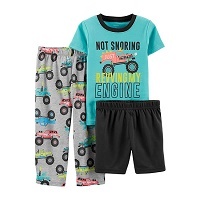 Pick out exciting kid's pajamas that emphasize their creativity and playful spirit. From stripes to hearts to animal patterns on their onesie, you'll find something that fits their personality to a T. Outfit them with a playful monkey design or transport them to prehistoric times with a pattern of little dinosaurs on their footed PJs. If your kid is a Star Wars fans, then you must get them a Darth Vader. Storm Trooper, or Chewbacca sleeper! 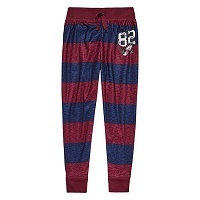 Get stylish pajama sets that feature matching robes made from soft insulating fabrics. There's nothing better than finding something for your kids that's simple, affordable and effective. Make bedtime fun with colorful, one-piece footie pajamas from the JCPenney kid's department. What do Mickey Mouse, Minnie Mouse, Thomas the Tank Engine, and Batman have in common? 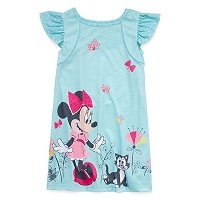 They are all featured in our collection of kids' sleepwear! That's right, JCPenney has pajamas for your kids with the some of the biggest characters around. There's no shortage of your kids' favorite characters from film, comics, and television. Your kids will love slipping into hooded Batman robe transforming into the capped crusader to fight crime. They can join the ranks for the world's most formidable fighting team – The Avengers! If your daughter is a huge My Little Pony fan, then give her a set of My Little Pony pajamas. She can stay cozy on the floor as she creates her own adventures in Equestria with her favorite pony heroes. What's cute, cuddly, red, and a monster? Give up? It's Elmo! We have some cool Elmo pajamas for your little Sesame Street fan! In addition to character pajamas, we have kid's Christmas pajamas too! Pajamas make a great gift for your kids on Christmas Eve!